Gin Tours With Brewtown Tours And Blog Up North* | Experiencing Yorkshire Made Gin In York | Independent Gin Distillers Making Waves. So earlier this week I headed to York train station to meet Mark and a group of Gin enthusiasts - including Sophie from Blog Up North who had organised this for us all and this is my review of the day. I was kindly gifted this experience in exchange for shares on social media, giving my honest feedback on Google and this blog post. I honestly had such a great day that it didn't feel like work at all! I hope you enjoy reading all about it and perhaps book onto a tour yourselves! Mark of Brewtown Tours has been doing beer tours in Yorkshire for a while now, driving groups of up to 8 people around in his Brewtown Tours van to 3 different breweries in and around Leeds and York. I have previously done two beer tours with him and there was talk then of Mark undertaking a Gin tour, so low and behold a year later here we are! I am so pleased that it's come to fruition because I know from previous experience it was going to be amazing - and I was right! 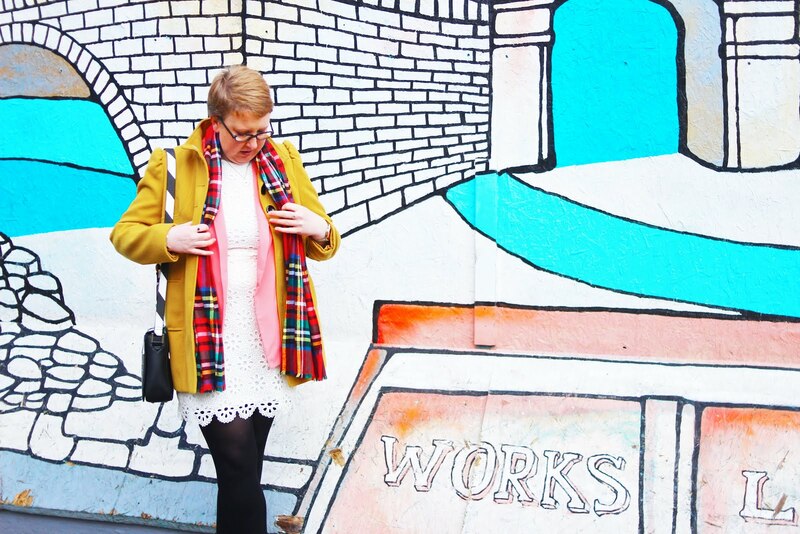 This tour was organised by Sophie from Blog Up North - someone I have gotten to know recently through blogging and who constantly inspires me with everything that she does. Sophie is a really lovely lady and it was a pleasure to spend the day with her - especially when she doesn't drink that much and needs help finishing her Gin! There was a full bus this time which made for a fantastic day, it was great to meet everyone and find out more about them. We had three distilleries to visit, Cooper King, Rare Bird and Hooting Owl who were all relatively new to the gin world. First up was Cooper King, based in Sutton-on-the-forest just outside York. Chris and Abbie started up their venture just over 2 years ago after quitting their jobs to go travelling around Australia, Tasmania and accidentally falling into the job of visiting all the whiskey distilleries and reporting back. 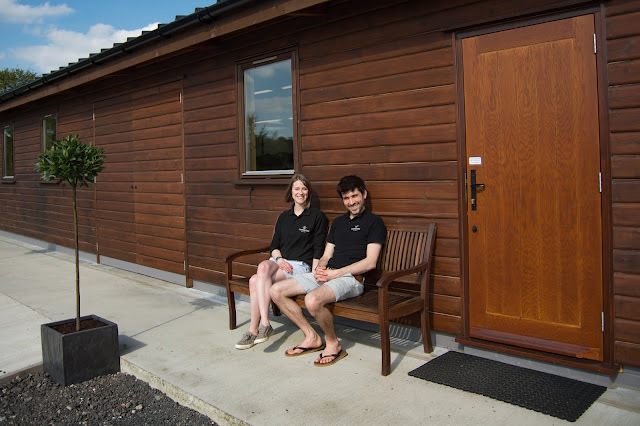 Seeing this as an opportunity when they got back home, Chris and Abbie started converting an old stable block into a whiskey and Gin distillery. With help from friends and family they were soon up and running, with Abbie's background in chemistry being a great help in being able to apply what they'd learnt in Tassie directly to their own product. At Cooper King, the main focus is on whiskey so the Gin is a happy endeavor to enable them to be able to create, make and sell Yorkshire whiskey. At the moment they have one gin for sale (and taste!) but they've also created a smoked and spiced Gin for a restaurant in York (Skosh) - which we were lucky enough to taste! This was absolutely delicious and I was just sad they didn't have more or that it wasn't available to purchase. Nevertheless it was good for them and could hopefully lead to more in the future. 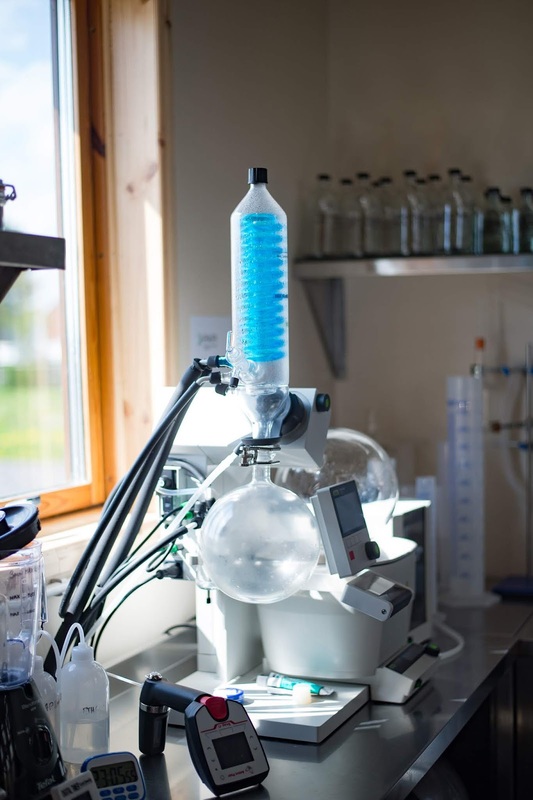 Cooper King are also very environmentally friendly, with every bottle sold planting a tree in the Yorkshire Dales, having beehives on site to produce the honey which goes into the gin and having a closed loop condensing flask machine which ultimately saves them upto 13,000 gallons of water! Just incredible. Chris was only too happy to explain the providence of the name Cooper King and showed us the album which has photos and descriptions that his relatives had painstakingly written up when they were finding out about it. Turns out it's all in the family and the crest even has providence on Ripon Cathedral as his great-great grandfather Charles Cooper King actually helped to build it! Incredible. Their Dry Gin is described as " Rich juniper notes married with juicy citrus and floral layers of local honey deliver a fresh, vibrant gin of exceptional character." and has won Bronze in the World Gin Awards 2019 and Gold in the International Wine and Spirit Competition in 2018. It's amazing considering they haven't been running for that long! Cooper King also benefits the environment with every bottle of Dry Gin sold, 1m squared of English woodland is planted through the Yorkshire Dales Millennium Trust Partnership making them the first Gin in Europe with 1% for Planet® accreditation. 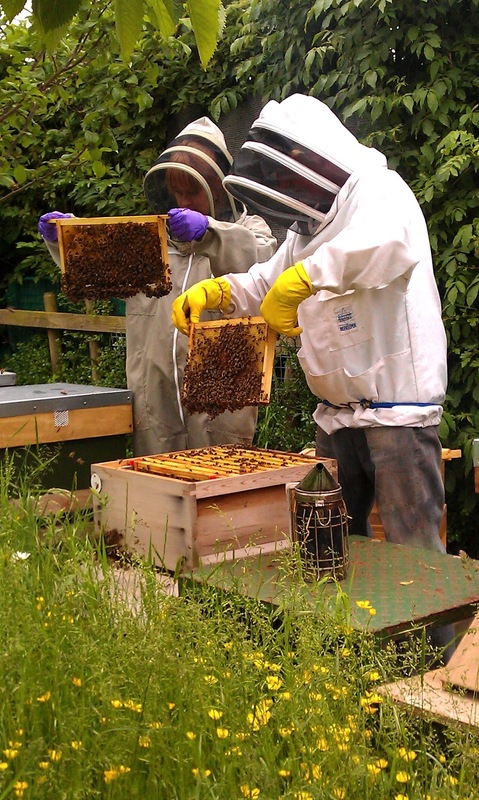 For the honey in their Gin they have their very own hives on site and only use that honey to be even more environmentally friendly! I personally think this is amazing as we all know about the decline of the bee population so anything to help them thrive is welcome in my book! I loved everything about Cooper King, Chris is an exceptional guy whose genuine passion for creating Gin and whiskey shines through everything he does. His Gin is delightful and I love his eco-credentials. If you're in the area or just fancy supporting a small independent then make sure you give Cooper King a visit! 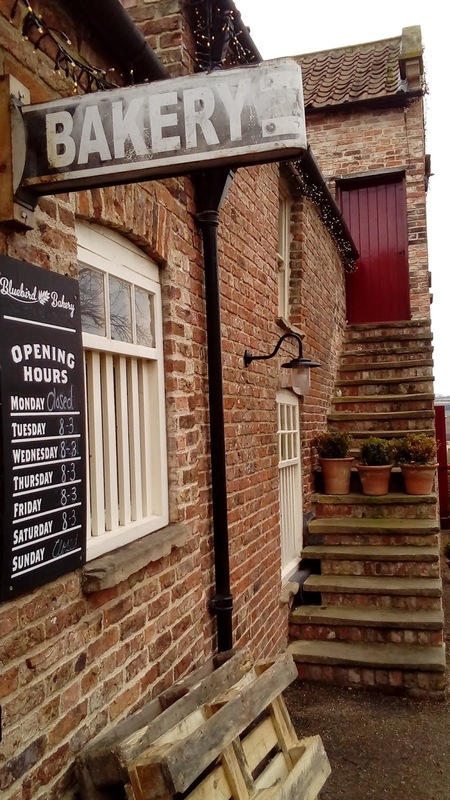 Rare Bird is located in Talbot Yard, Malton, the self-proclaimed foodie capital of Yorkshire! Having previously been to Brass Castle located just down the road I knew we'd be coming here when Mark pointed it out to us. To say I was excited would be an understatement! Matt Stewart who runs Rare Bird was a firefighter for 30 years before turning his hand to making Gin. His brother runs a brewery down in London and thought franchising it up to Yorkshire would be good for Matt, but with new breweries popping up everywhere he didn't think it would be viable. So he settled on Gin and a year later here he is! Matt creates two Gins - London Dry and Rhubarb & Ginger both of which are absolutely delicious. The London Dry is distilled with 11 different botanicals including green pepper, hibiscus, rosemary and citrus. Simply serve with a slice of grapefruit or a wedge of lemon and you're good to go! The Rhubarb and Ginger Gin is a little bit different as Matt doesn't add any sugar to the Gin throughout the distilling process, instead relying on the consumer to decide the sweetness of their drink. This results in a warming ginger finish which goes perfectly with a Mediterranean tonic and a slice of orange. You'll have a wonderfully smooth drink with a wonderfully sweet aftertaste. I adore Rhubarb Gin, it is definitely one of my favourites but it's usually quite sweet so it's a nice change to find one which isn't, I could quite happily drink this neat over ice actually. and a whole heap of fun! This would definitely be something I would be interested in doing, especially after meeting Matt and learning more about his Gin. There were tables set up with a myriad of different botanicals which we were all able to sniff. My favourites included pink peppercorns, jasmine flowers, tonka beans, lavender and earl grey tea. Not sure how any of these would work together but then I guess that's half the fun of creating Gin! I really loved meeting Matt and learning about Rare Bird Gin. If you're in and around Malton then you should definitely stop by Talbot Yard and go and taste some Gin. Also stop by the bakery and the ice cream shop if you're hungry afterwards! There's a coffee roasters here too but be warned, they're shut on Monday & Tuesday for roasting! The final stop of the day was to Dom at Hooting Owl Distillery located in Barmby Moor House on the 1079. (Ironically enough this road number is shown in roman numerals on the crest!) We were only meant to stay here for an hour and be on the road by 3.30pm but due to Dom's Irish hospitality we ended up staying much, much longer! He's a fantastic host and loves nothing more than pouring you a measure of Gin and regaling you with tales of when he used to be in the army! For this reason, Hooting Owl got my seal of approval and were my favourite stop on the tour. Dom's passion just shines through and you can't help but collapse into a fit of giggles after another of Dom's tales! Hooting Owl has 6 Gins in total, each very different from the other but all evolving from the same neutral spirit which is steeped with botanicals for 12 hours. This releases the oils and contains the flavour. The liquid is then heated, passing the vapours through the botanicals and collecting the infused spirit. Unlike other distillers, Dom cut his gins 10 times during the distillation process to create exceptionally smooth Gin with unique character. The Tour De Yorkshire Gins evolved from their Signature Gin and are the 4 Yorkshire's, each of these Gins use botanicals that reflect the biodiversity and culture of the county. Infused with mint and rosemary inspired by the Barnsley Chop. 16 botanicals, including grapefruit and cubeb pepper create a smooth, richly aromatic gin of unique character. The robust veteran brother of Signature Gin. We tasted ALL 6 gins and my favourite was definitely the Signature Gin, it was very smooth and I could envision drinking it neat over ice. I also loved the North Yorkshire Gin, because well, that's where I'm from, so I couldn't not love it could I?! Dom was very generous both with his time and knowledge of creating the very best Gin. I actually learned something here which I didn't know before; that if you dip your fingers into the (neat) gin and rub your fingers together, it doesn't just instantly dry because of the oils in the gin. It's actually really smooth because it doesn't immediately evaporate like the ethanol will - this is a good way to see if your Gin has a high alcohol content or not! There's really no comparison once you've tasted high quality Gin, sorry Gordon's but your Gin is crap! Dom's larger than life personality really makes any visit to Hooting Owl a pleasure, it's so refreshing to meet someone who is so full of life. He is obviously so passionate about creating the very best Gin possible and that comes across when you taste it. He is so eager to share his creation with you that time just disappears but you're having such a good time that you don't notice until it's starting to get dark and you're going to end up in rush hour traffic trying to get back to York train station! What more could I say about Dom and Hooting Owl Distillery that hasn't already been said? It's worth going on the Gin Tour with Mark just so you get to experience his over the top personality and hospitality for yourself! Thanks so much to Dom for hosting us, I for one had a really good time and will definitely be back for another Gin tasting! I thoroughly enjoyed Mark's Gin Tour, his knowledge, passion for his job and the friendships he's garnered with all the Gin distillers is obvious. Just like with his beer tours, he knows the very best places to take you and actively encourages you to ask questions, taste the product and support local independents. I think that's my favourite thing about Mark's whole venture, the fact that we do go to small, local independents and we see how their passion for their project just shines through. I for one loved discovering Yorkshire Gin - in recent times there has been something of a rediscovery of Gin and now more and more bars/restaurants are stocking more bottles of it, including some of these local boys too which is just amazing. To hear that all of these distillers have got their Gin in Michelin starred restaurants is just incredible and credit to the quality of their product. If you're a Gin lover or know someone who is, or perhaps you've gone along to one of Mark's beer tours and been longing for a Gin tour then I can highly recommend booking onto this tour. It's another fantastic day out and definitely worth the cost! A massive thanks to Sophie for organising this tour, Mark for having us all and to Chris from Cooper King, Chris from Rare Bird and Dom from Hooting Owl for their wonderful hospitality! *Gifted experience, all opinions my own. Post contains photos which aren't my own, but used with permission.